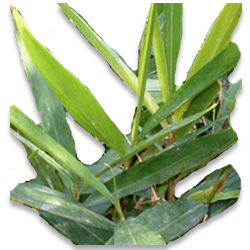 Fresh healthy disease-free rhizome bits with at least one shoot is the planting material, which is required @ 1000-1500 kg/ha. Carry out gap filling, if required, within one month; remove weeds two months after planting followed by topdressing, earthing up and mulching. Thereafter no weeding is required as the crop smothers the weeds. Usually pests and diseases are not serious enough to take up any control measures. Occasionally shoot borers and leaf eating caterpillars are observed. Blight disease can be controlled by spraying 1% Bordeaux mixture. The fresh rhizomes on steam distillation for 3-5 hours give 0.22% essential oil. The oil recovery on dry weight basis is 0.93%. 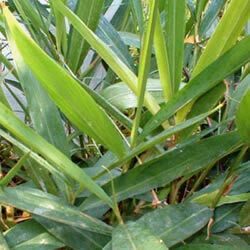 Root is also a significant contributor of essential oil.